The Autumn season has been full of both big and local marathons. From Berlin to the Pilgrims marathon, finishing with the New York City Marathon yesterday. I have had the pleasure of helping many clients to get to the start line of their autumn races by either helping them recover from injury, or by preventing injuries with regular osteopathic treatment and sports massages. It has been a pleasure to hear about all of their accomplishments. I have been following many elite marathon runners on instagram and reading about their build ups. Some went for the usual 16 week training programme, where as others chose only 13 weeks. I was excited to watch the New York Marathon yesterday and did so with friends, I was mostly looking forward to watching the domestic battle of the elite women marathon runners. Shalene Flannagan was going in as the defending champion and was up against the experienced African, Mary Keitany. There were some less know American athletes lining up too; Molly Huddle, Allie Kieffer and Desiree Linden. For me Allie Kieffer has been an inspiration. She has been promoting, strong not skinny and trying to promote positive body confidence. She has admitted she has been her heaviest weight going into the New York Marathon this year and that’s even with running 115 miles a week and using nutritionists. 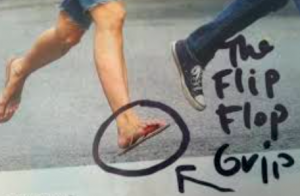 Allie has been trying to educate why you don’t have to be ‘skinny’ to be a runner. For any marathon runner, fuelling yourself is key, from long runs to recovery runs and even on race day. Getting the right balance of carbohydrates, fats and protein is key. For a lot of athletes they under fuel. Their calorie expenditure is greater than their intake. For some, if that continues over a long period of time, it can decrease essential bodily functions. In women, that can stop your menstrual cycle. Some would say why is that bad? If this occurs for longer than 6 months, it can be. Your oestrogen levels will decrease, which will then affect your bone health, which can result in stress fractures and the start of osteoporosis, osteopenia can occur. 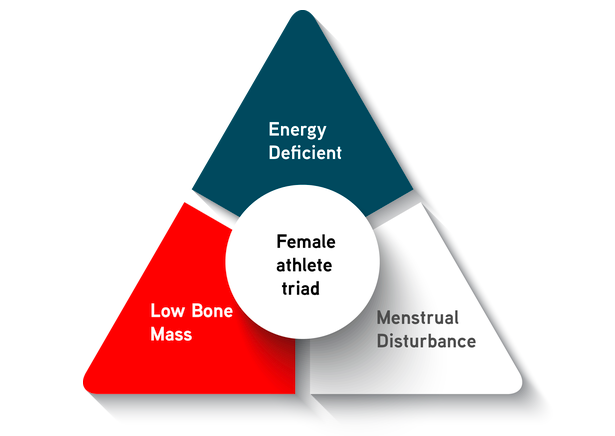 This issue is being described as the female athlete triad, which is an interrelationship of menstrual dysfunction, low energy availability (with or without an eating disorder), and decreased bone mineral density. The effects on the body can cause issues such as; mood swings, lack of concentration and fatigue (1). It is so easy to compare yourself to others with what is being published on social media today. For some, it encourages the need to exercise to create the ‘perfect’ body, or push yourself to run a PB because thats what everyone else is doing. But are you doing what is best for you and your health? With having completed a marathon less than a year after giving birth to Lily, I put my body under a lot of stress and then being encouraged by how well I was running, I continued the marathon mileage and then decided to move house, which caused a lot of stress on my body. For me this has resulted in absent periods. No matter how much I eat, whether I eat excessively or track my calories, I cannot get my periods to return. I have been to the doctors, twice this year demanding blood tests, their response; ‘ We aren’t concerned.’ This is infuriating!!!! I will happily admit, I have over exercised and under eaten to get the ‘bikini body’ and ‘perfect wedding dress body’. Looking back, yes that was the wrong thing to do and this is another reason why I have come off certain social media platforms and have unfollowed things on Instagram, which would encourage this behaviour again. I have decided to decrease my mileage, I have changed my approach to quality over quantity, have a complete rest day, enjoy life, take twice daily calcium tablets and multi-vitamins and not do a marathon. So yes, for those that keep asking if I am doing a marathon, next year. This is why! Although watching the marathon yesterday was inspirational and I know I am going to be jealous as clients and friends start the build up for their spring marathon, I am concentrating on myself and my health! For those who are concerned, either about themselves or a fellow athlete, do not be afraid to talk to them. This is something that needs to be talked about in female athletes. In searching for some answers on how I can help myself, I have found great app, called FitRwoman. It allows you to track your cycle (which doesn’t help me at the moment) and guides you on what training you should do in what phase of your cycle. Ackerman K, Nazem TG. The Female Athlete Triad. Sports Health, 2012, Jul: 4(4): 302-311. I recently read a blog called ‘Does it count if it’s not on Strava’? This made me have a big think about my running as at the time I was struggling mentally and physically as it was after I returned from California. I was constantly comparing myself to others and questioning why I wasn’t faster times than I was. With the encouragement of a good friend I came off Facebook and Twitter earlier this year so after a little nudge, strava was disconnected from my Garmin and I logged out. I knew I had a race coming up which was my focus for the season, which was last week. I sat down with my coach, the legend that is Coach Fudge and we sorted my training schedule for the 6 weeks leading into the race, Ron Neil, helped me get my head back in the game and gave me some well needed advice on my pacing 😂. There were certain runs, I left my Garmin at home and just ran. I didn’t worry about pace or times, I just ran and started enjoying the process again. It was nice getting home and not seeing a Strava segment or seeing what fellow runners had done that day and getting competitive! I went back to old school pen and paper to record my sessions so I wasn’t constantly analysing what I had done. For the past 3 years, strength and conditioning sessions have been a big part of my training and with the help of Dave Cole and Mike Bowery we focussed on getting some speed and power in my hamstrings and upper body. I owe you both a big thank you for pushing me harder than ever and helping me prove to myself I could complete whatever challenge was given to me. Throughout this last year, there is one person who has inspired me. He nearly gave up this year but he fought back through injury and ran two sub 18 minutes 5kms in August. I knew if he could find the speed and inner strength, I could. So what was the end result and was it all worth it…. a 25 second PB for 5km….. 19.11. So yes it was totally worth it. Hearing my little girl saying well done along with the congratulations from Ben made it all with it. The last 6 weeks have been a big learning curve and I’ve learnt a lot about myself. Surround yourself with people who motivate, encourage and most of all support you. Team Coach Fudge are some of the best and most supportive friends I could ask for. So whats the next goal? I will keep that to myself!! From this blog, I hope I can inspire some of you, not to be so competitive over social media and when you are struggling, just disconnect and concentrate on yourself! Fast forward to today and after a lof of stomach cramps and being bent over double whilst out training, with the inspiration and help of two amazing friends and my husband, I am starting my journey of being dairy free! I haven’t been specifically diagnosed but at the moment it’s a choice I am making until I can get the food allergy testing done. I am now Day 11 of being dairy free and also gluten free after learning that I can’t have puff pastry!! So how has it been? Much better, I no longer have the cramps and bloating. I did have one set back over Endure24 but my body was put under so much stress and I consumed a lot of food(dairy and gluten free) and fruit pastels. It took a few days for by body to recover but now I’m back on track and feeling much better again! Do I fancy a big tub of Oreo ice cream… yes and no! With cutting out dairy, it is more important than ever that I take calcium as a supplement and find ways of getting it in my diet as dairy has been removed. There are plenty of tasty foods that are high in calcium but as my mum and aunties now all have osteopenia and with the running I do, I need to maintain both bone and female health. This change in food habits isn’t for everyone and I would highly recommend you see a nutritionist if this is something your thinking of doing, to make sure you are still getting the correct balance of macro and micro nutrients that your body needs and if you think you have a food intolerance, get the food testing done!